Special steel that has a good compromise between strength and toughness. Especially suitable for surface hardening with hardness values in the areas treated with about 57 HRC after distension at 180°C. It is among the most used carbon steels in Europe. 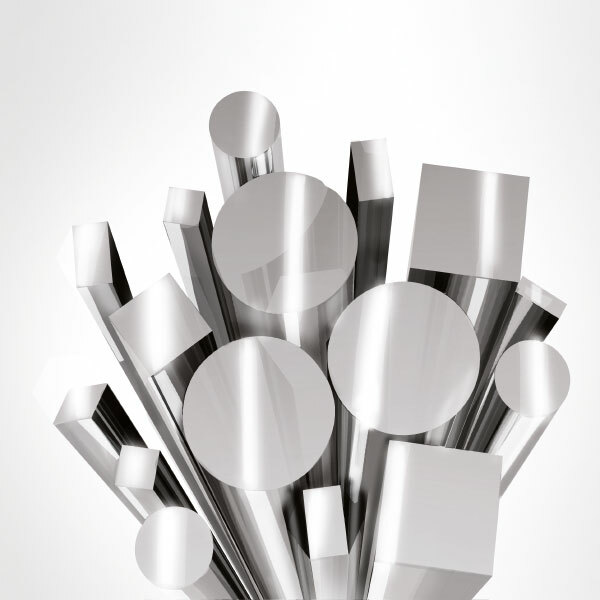 It is a steel, mainly intended for tempering treatment, used in the mechanical sector for the construction of shafts, cranks, keys, pins, brackets, tie-rods, axle shafts, etc. Steel with good hardenability, not very sensitive to overheating and not subject to brittleness. It is the most used hardened and tempered steel, for its good resistance, forgeability and workability to machine tools. It is suitable for all hot uses up to a temperature of 500°C as it is cool-flow resistant. It can also be hardened or nitrided on the surface to increase wear resistance and fatigue for pieces that are not subject to too high specific pressure. It is used in the production of gearwheels, shafts and tie-rods. Steel with high mechanical strength, impact and fatigue resistance, excellent hardness, toughness, wear and heat resistance (up to 400°C), insensitive to brittleness, with fair performance at temperatures below 0°C. 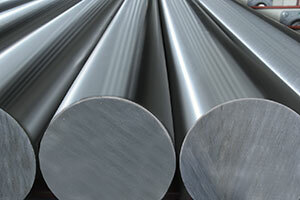 It is among special steel intended for tempering and is one of the most known used. It is widely used in the automotive, mechanical engineering and aeronautical industries, for its balanced composition, designed to ensure good hardenability for thicknesses up to 100mm and good workability when annealed. It is therefore suitable for pieces that are very stressed, even dynamically to bending, torsion, tensile, fatigue and wear, crushproof under heat treatment, with a surface hardness similar to a hardened layer. The main applications are: general transmission shafts: crankshafts; spindles; axle shafts for vehicles; connecting rods; balance wheels; gear shafts for great power; intake valves; ferrules and tie-rods. We even supply 39NiCrMo3+Pbfor immediate delivery with the addition of lead making it more workable, therefore more suitable for machining for faster chip removal without changing the mechanical properties.